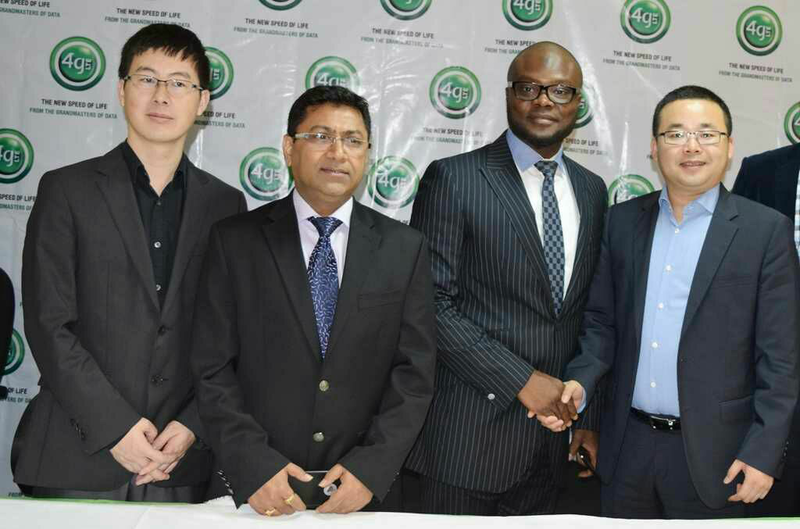 The grandmasters of Data ,Glo, has become Nigeria's first telecommunications operator to lunch the mobile 4G Long Term Evolution (LTE) network, nationwide. 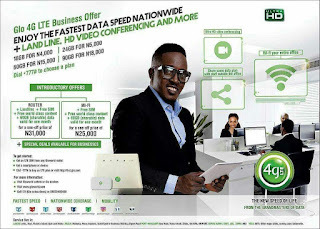 Glo 4G LTE Promise's faster and efficient broadband internet services to millions of Nigerians at speed that are several times faster than the present 3G network. This will enable glo subscribers download ultra high definition videos in just few seconds. L-R: Li Shaowei, Key Account Director, Huawei, Head Sanjib Roy, Regional Director Technical of Globacom, Kamaldeen Shonibare, Head, Corporate Sales,Globacom and Jin Renzhe, Managing Director,Huawei, at the launch of Glo 4G/ LTE nationwide services in Lagos on Tuesday. The data plans range from N50 to N18,000. √ N1000 gives 3.2GB of data. For the Glo MiFi plan, Globacom is giving out free SIM with its 4G MiFi, plus 60Gb of shareable data valid for one month and free world-class content for a one-off fee of N25,000. Glo 4G LTE router gives access to Ultra High Speed Internet and landline, plus free SIM, 60Gb of shareable data valid for a month and free world-class content for a one-off fee of N31,000. To subscribe to any of the 4G plans, just dial *777# and follow the onscreen information to select your choice. Maybe the poor glo network at most locations will be a thing of the past very soon because that seems to be the only dent in Glo performance. Welcome to the new speed of life!